MATC Phoenix Faculty Jonathan Cardew Interview! Interviews and Guests Comments Off on MATC Phoenix Faculty Jonathan Cardew Interview! 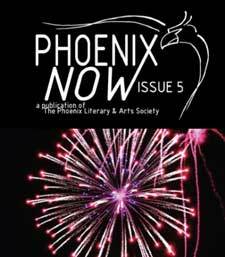 MATC Phoenix Faculty Member Jonathan Cardew Published and Interviewed! Staunch MATC Phoenix supporter Jonathan Cardew was recently featured in the Atticus Review! Not only is Jonathan a MATC English Instructor, he has given his personal time and effort to drive the MATC Phoenix forward and currently acts as a voluntary faculty reader for the magazine. Read more for insight into Jonathan Cardew’s writing thought process and for a sample from his creative works. Thank you, Jonathan, and congrats! Should I or shouldn’t I? This was the first question I asked myself before I got my first of 21 tattoos. This probably sounds like a stupid reason to start such an expensive habit, but over time tattoos became something much more to me. Tattoos became my way to express myself, vent, hide imperfections and bring happiness. According to Lynda Dickson “many tattooed persons view tattoos, and other forms of body art, as a way of expressing themselves as an attractive method of body adornment” (107). My first tattoo was put on my body about sixteen years ago when I was 19. Everybody was getting tattoos to celebrate being an adult. Just being in the tattoo shop listening to the constant buzz made me feel very grown up. The peer pressure of wanting to feel grown up and make my own decisions led me to getting my very first tattoo. It was a vibrant colored dragonfly. To this day it reminds me of how my adulthood first started. Over the next few years my passion for tattoos starting growing. The more tattoos I got the more liberated and independent I felt. They also made me feel more likeable. It sounds odd, but for me tattoos made me feel prettier and more confident in myself. Feeling more confident made me feel happier and that feeling of happiness was important to me. Just like me, my tattoos changed over time. They started to fade and lose their vibrancy. That is when I started to cover them up with a different tattoo. The first cover up was of a solid black lizard that was on the side of my knee. It looked faded and had almost a greenish black color to it. Just like me, it needed to change. It was covered with a totally different tattoo. This once black lizard was now flowers that extended halfway up my leg. This tattoo by far is one of my favorites because instead of people looking at the hideous birthmark on my leg, they look at my tattoo instead. This tattoo brought a whole new level of confidence and took the focus away from one of my imperfections. There has been a few problems with a few of my tattoos. I should say mistakes instead of problems. When my boys were born I decided to tattoo their names around my ankle. Not only did this happen, the decision was also made to put my then husbands name alongside of the boys. Moral of this story is never, ever put a spouse or boyfriends name on yourself because you cannot see the future and life is always constantly changing. This name has been covered up now with a black rose and symbolizes my courage to raise my boys myself without much help. Many of my tattoos also have a lot of sentimental meaning to them. It may sound corny to some people, but to me the sentimental meaning is my way of expressing to myself that even though life can be tough, it always gets better. To signify this motto I have happiness tattooed on the back of my neck and strength tattooed on my wrist and foot. Just putting these two words on my body have me more courage to keep going, not give up and be proud of what I’ve accomplished. “Do you ever regret getting a tattoo?” This question has been brought up many times and to be honest there is only one tattoo that I truly regret getting. Not because of the location of it or the meaning of it, but the look of it. This tattoo resides on my upper right arm. It is a picture of a lock and keys with my boys names incorporated on it. It was supposed to look more realistic, but ended up looking like a huge black blob. Being a guinea pig for a tattoo artist was a huge mistake, but just like life we all make mistakes and learn from them. I have gotten a lot of criticism over the years from having so many tattoos. * Most people will ask: “Are you done getting tattoos? “Why do you have so many tattoos?” or “Do your tattoos ever cause issues with employment?” Honestly I have no idea when or if I will ever stop getting tattoos. There is always a new idea of one brewing in my head. Why stop if they’ve made me so happy over the years? My main reason for having so many is that tattoos have provided me with that strength and courage needed over the years to keep going. As for getting a job, there still has not been any problem with that. Usually most of my tattoos are out of sight except for two and if need be they can be covered up with a long sleeve shirt. Dickson, Lynda, “To Ink Or Not To Ink: The Meaning Of Tattoos Among College Students.” College Student Journal 49.1 (2015): 106-120. Academic Search Complete. Web. 27 Mar. 2015. “It’s a bird, it’s a plane, it’s stupid man!” My father was always trying to make my boys laugh. “Papa say it again!” they’d cry. My dad always had that personality to make others laugh, even when he didn’t try. His jokes and “tall” tales will always be something to remember. I swear you could spot my father out of of a crowd easily. He was a tall, lanky, thin man who walked slightly hunched over. I’m pretty sure dad used to have dark brown hair, but over time it had mostly turned grey and had a matching beard to go with it. We used to tell him he looked like an anorexic Santa. He always wore a baseball hat, flannel shirt, jeans and ratty looking tennis shoes. Even during the hottest month of summer, he’d still be wearing that flannel shirt. During the summer time when I was younger we would always take my dad camping for his birthday. My sisters, a few friends, and I would throw dad a themed birthday party. We would dress my father up in something ridiculous, like a clown or princess and make him prance around the campground. Dad always played into it making everyone stop, look, and laugh uncontrollably. Dad was always telling his “tall’ tales. I call them this because most of the time they were lies. I remember always telling my friends that when they meet my dad try not to believe every word that came out of his mouth. Most of his tales were about himself. He always told us how he was a race car driver, a night club owner, a baker or even a care taker. When I was much younger I remember asking my mother if dad was really what he said he was. “Mom was dad really a race car driver?” I’d ask. We got used to hearing dad tell his tales. My sisters and I had come up with our own little way to tell if dad was lying or not. Ninety percent of the time when he lied he’s rock his feet back and forth as he was telling his story. When we’d see him doing this, my sisters and I would all look at each other and roll our eyes. As we got older we’d already heard most of his stories so we kind of ignored him when he’d repeat them to the grandchildren. The grandchildren hadn’t heard them before so they would laugh hysterically when dad would tell a good one. My father would occasionally tell the kids the stories of how he’d be forced to dress up as something very embarrassing. “Papa what did you dress up as?” the kids would ask. “Well your mom and your aunts used to dress me up as a princess crown and all,” he’d say back to them. The kids would just roar with laughter. Dad had that effect on them. As soon as he’d start telling a story, he’d add in a little stupid joke or saying just to grab the attention of the kids and keep them on their toes for more. My father lived his life the way he wanted and died the way he wanted. He taught us to have fun in life and always laugh away the small stuff. Even today my boys quote little sayings Papa said and will always remember him being so funny.